Someone "accused" me of using photographs as an excuse to write about the random thoughts I have. I allegedly always associate an idea from the photograph to what I really want to say. If I did write about how I took the photograph, the equipment I used, or simply the context in which the photograph was taken, then, I am told, it would not be such a problem. But why do I do what I do? In the About Page of this site, I touch the subject of most photographs needing a context. For example, if, without context, you view the series of photographs in photojournalist Donald Weber's photo essay "Interrogations", you would probably say, so what. But in context, when you understand that those are real people in an interrogation room, when you find out that in the Russian judicial system over 90 percent of all charges end in "guilty pleas" and that the process is the modern day equivalent of the medieval practice Trial by Ordeal, the photos come alive. 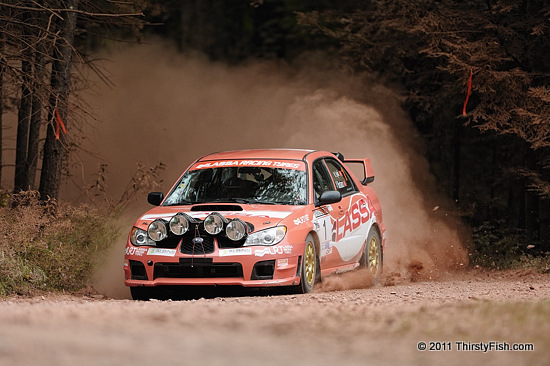 Why do people compete in the amateur Rally New York event? Why do others photograph it? Why are we interested in the things we are interested in? Why do we play? Why do we work? Why do we do what we do? Is there a real meaning behind the things that we choose to do? Or, is it, "We know not what we do"?